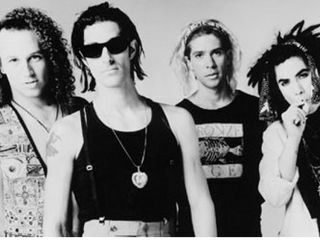 Although it seems as though it's happened dozens of times during the past ten years, Jane's Addiction are reuniting. "It sounds exciting to me as a listener," says singer Perry Farrell. "I just like to go out with people I think make beautiful music. As I say, we're not making war, we're making music, so how bad could it be?" Farrell admitted that reuniting the combustible personalities of bandmates Dave Navarro, Stephen Perkins and Avery is a tall order. "We've got to figure out a common ground. Jane's Addiction is a very inflammable group - there's a lot of very strong personalities. But I still think it would be worth it to get Jane's Addition together because the people and the party that could ensue from that would be so amazing it's worth making up over." And despite what Avery has previously said, the money wouldn't be bad.